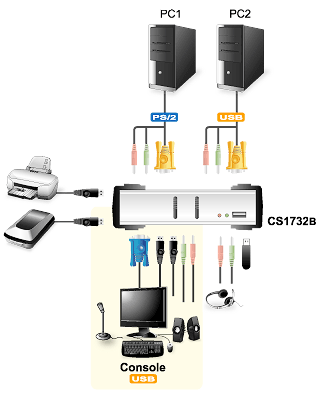 The CS1732B is 2-port KVM switch combined with a 2-port USB 2.0 hub. 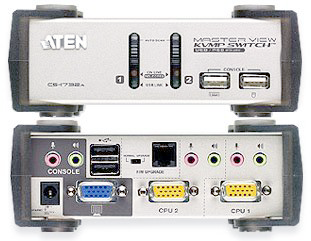 As a KVM switch, it allows users to access two computers from a single keyboard, monitor, and mouse console. There are three methods to obtain instant access to any computer in your installation: Manual, Hotkey, OSD, and mouse.